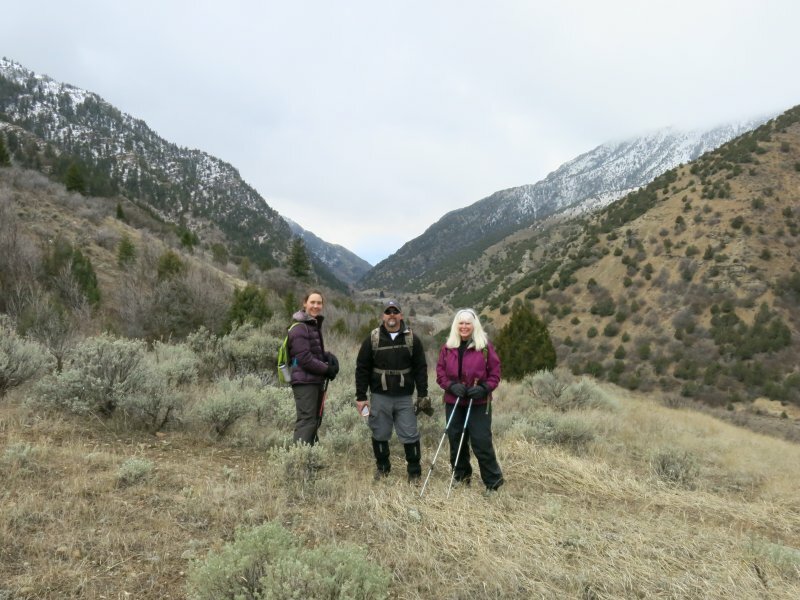 Originally scheduled as a snowshoe trip, the event was changed to a hike due to bare trail conditions caused by unseasonably warm temperatures and a lack of snow. 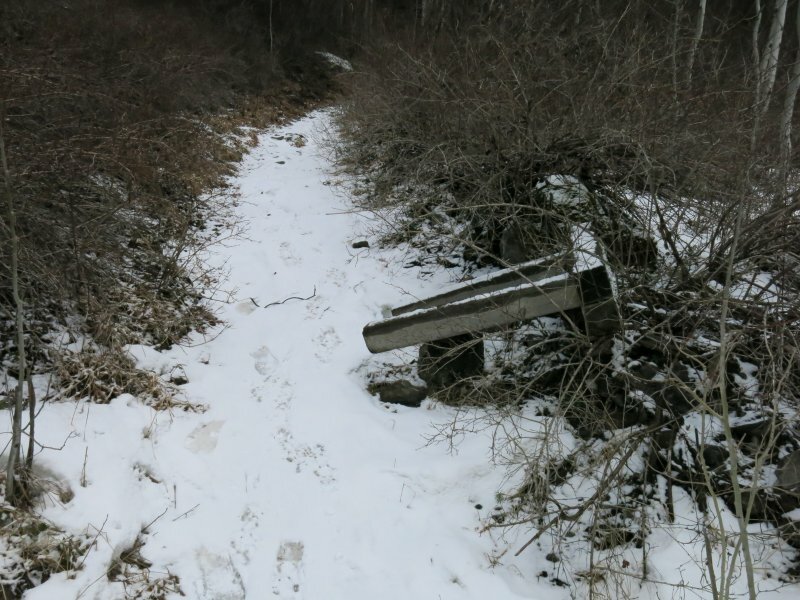 A scouting trip earlier in the week revealed an icy section near the top, but there was no snow. 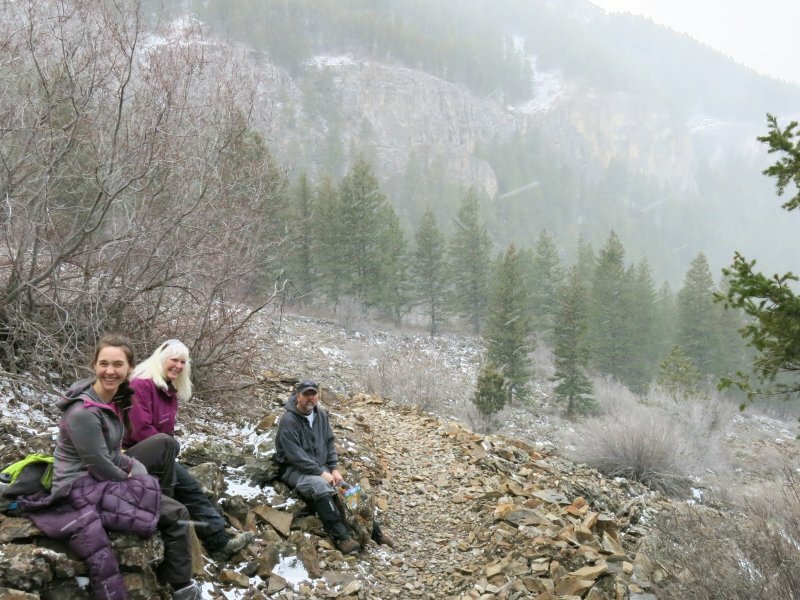 Four hikers met at our usual place in Smith's parking lot, Dave W., substituting as leader, Alexi, Diane and Matt (unsettled weather may have discouraged others from participating). We drove seven miles to the Spring Hollow campground and started out about 10:25. Canada geese were honking from just upstream and mallard ducks swam alongside as we walked down the River Trail through a skiff of new snow. Just before reaching 3rd Dam we turned uphill toward the Bridger Look-Off Trail, arriving at the "look-off" point about 11:00. After enjoying the view for a few minutes, we headed east and then southeast to join the Spring Hollow Trail, hiking through a flock of robins along the way as they foraged through the trailside brush. At the trail junction, the high point of our hike, we stopped for a short lunch break. Before long a snow flurry encouraged us to pack up and head down the Spring Hollow Trail, arriving at our vehicles about 12:40. This was a pleasant hike in spite of the unsettled weather and unsure footing in places. We enjoyed the wildlife and learning about trail problems and maintenance issues as we hiked.